CCHA Law - How Much Can I Give Away Tax Free? How Much Can I Give Away Tax Free? I frequently run into people who are confused about how much they can give away without paying taxes. First of all, the tax we are talking about is the “gift tax”, which is merely a component of the Federal Estate Tax. If there is any gift tax, it would only apply to people who expect to have estates at their death of at least $5.4 million. For a husband and wife, they can combine that amount, so they are only considering gift tax issues if they have a combined estate of $10.8 million. This of course eliminates most people’s issues. But there is understandable reason for confusion. The amount of the exemption used to be much lower, and many more people commonly had to take gift tax into consideration. But that is rarely a problem any longer. It should also be noted that Indiana does not have any concept of gift tax, so a gift tax issue is only a Federal Estate Tax concern. That all being said, how much can you give away? If you are in a bracket where you have Federal Estate Tax considerations, i.e., over $5.4 or $10.8 million, in addition to that exemption, a person can give away $14,000 per person per year. It can be any person. It does not need to be a relative. We are also not just talking about cash. The $14,000 can be anything that has that value. Thus, it could be cash, stocks and bonds, automobiles, real estate, or any other form of property. For people who are trying to stay within the $14,000 per person per year limit, they would need to consider all forms of gifts. For example, a check of $14,000 to a child would be within the limit. But if you add the other birthday and Christmas presents given to that child during the year you may find yourself inadvertently over the limit. But even if you are over the limit, you will just be using some of that $5.4 million dollar credit, and would normally not actually be paying any gift tax. If you do find yourself going over the $14,000 per person, per year limit, then you should file a gift tax return by April 15th of the year after the gift so you can properly claim the use of the credit. In summary, very few people need to worry about gift tax any longer, and therefore a parent could give to a child virtually any amount of value and not worry about gift taxes. If you have not yet had the opportunity to discuss your estate planning needs with an attorney or would like your existing plan reviewed and updated, please contact us to schedule a free consultation. 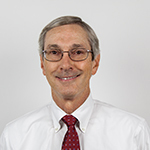 To learn more about Jack and his practice, please visit his profile.